Save Time and Money with the Full Body Kit! One Click buys the Full Focus RS Mk3 Body kit. This kit is in a basic textured finish, ready for mounting. No need of any additional work, unless you want to paint it for a different colour. Splitters lower the car visually and improves the grip and vehicle stability. These products are made from ABS plastic.ABS material was created specifically for use in the automotive industry. The Pumaspeed Workshop team are ready to fit the Focus RS MK3 Full Splitter Kit in our Head Office located here. Therefore making parts and labour a total cost £729.00 (inc. VAT). 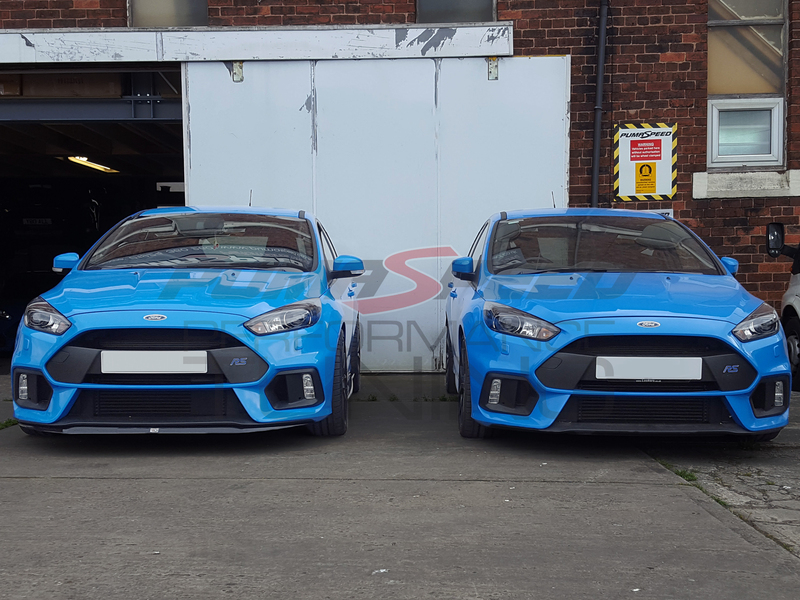 Pumaspeed have a specialist distribution team that can dispatch the Focus RS MK3 Full Splitter Kit to any destination worldwide.